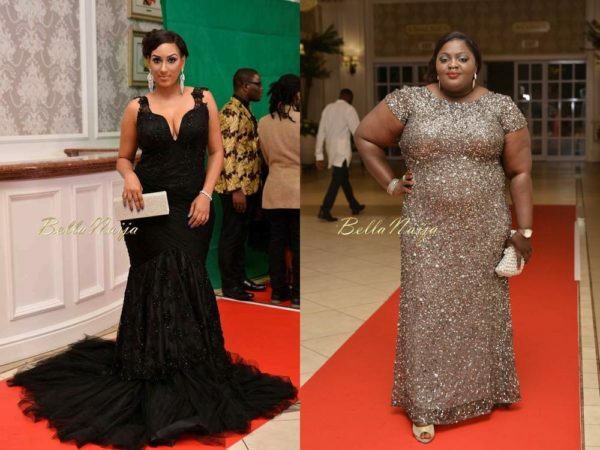 The 2015 Africa Movie Academy Awards had so many interesting red carpet looks that got people talking. Click here for the First Photos and here for the BN Red Carpet Fab. While several people had a lot to say on social media about different outfits from some of Africa’s biggest celebrities 5 looks definitely stood out as the most talked about looks. 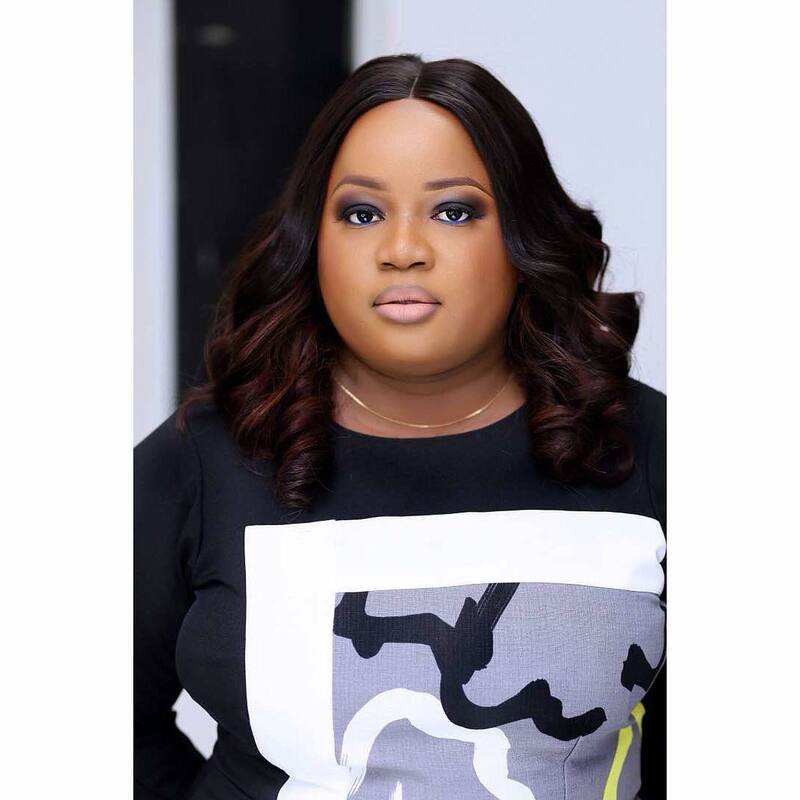 Nollywood actress Eniola Badmus jumped on a recent trend – the septum ring. While the actress has been rocking the look for a couple of months and showing it off on social media – Instagram & Snapchat – a lot of her fans were not feeling the look for the red carpet and they were only too eager to make their feelings known. We love her red carpet outfit (Eniola Badmus has always had a love for sparkly gowns) but we do think she could have left out the nose ring accessory for such an elegant event. Another Nollywood star who got quite a lot of buzz on social media was Iyabo Ojo. We love how flattering her dress is on her and the colour green suits her complexion perfectly. Some of her fans however were not too pleased about the green hair that went with the green outfit. She accessorized with a gold clutch and gold jewelry. 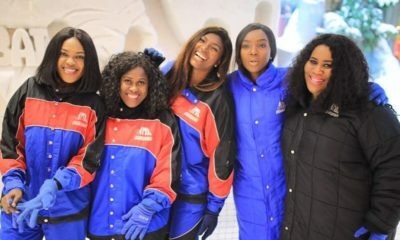 Chioma Akpotha’s hair was also a buzzing topic on social media. A lot of her fans felt her natural hair was not styled appropriately for her outfit and people were not shy to express their views about it. We do love the sheer elements in her outfit and her choice of silky yellow to bring out the outfit. 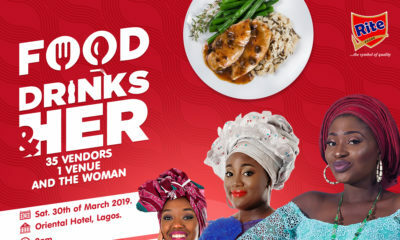 Chidinma and Chidiebere Aneke are known for always wearing the same thing and coordinating their looks but they surprised fans by going a different route for the 2015 Africa Movie Academy Awards. 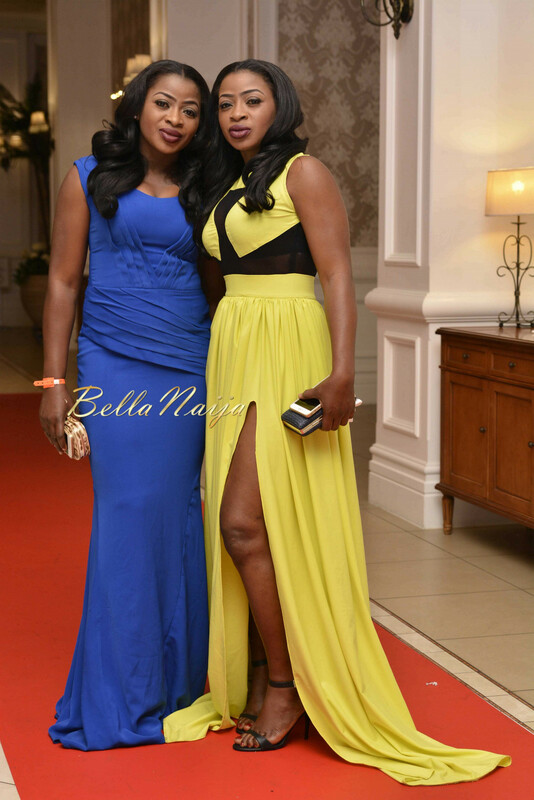 The Nollywood actresses looked gorgeous individually with one of them rocking a fab yellow and black gown and the other rocking a blue floor length gown. Juliet Ibrahim is possibly our best dressed from the event and it looks like we are not the only ones who feel that way. 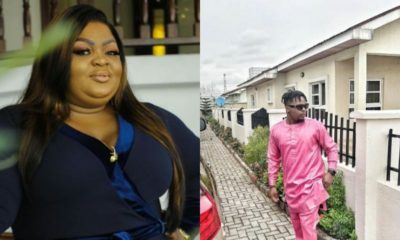 The Ghollywood actress rocked a floor length black dress custom-made by House of Jahdara and styled by TV personality/stylist Efe Tommy – her outfit got quite a lot of buzz. Which look was your fave from the 2015 Africa Movie Academy Awards? Watch! Kevin Hart Plays David Beckham’s Annoying & Funny Understudy in New H&M “Modern Essentials” Campaign! Sharms: Need Some Help with Mascaras? Here’s All You Need to Know! 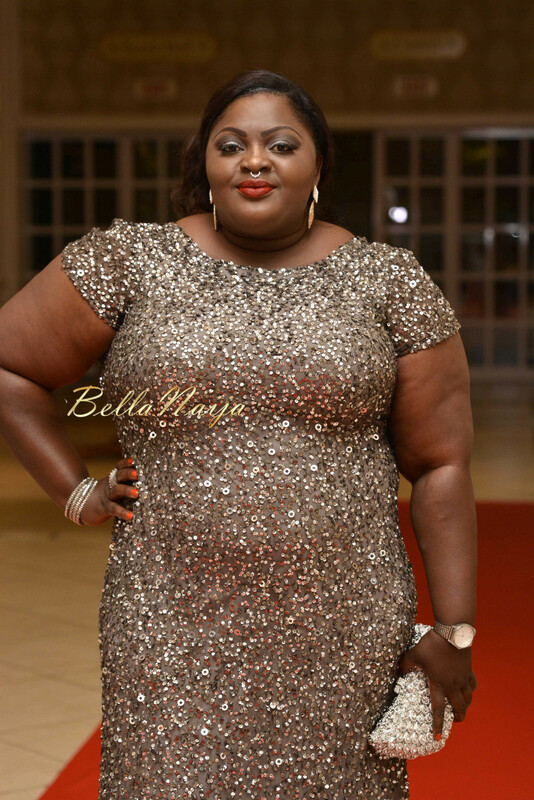 lets be truthful, nobody is talking about the red carpet looks from the 2015 AMAA. it was a poorly dressed event. low celebrity turn out. the event looked super cheap. since when does top-talked about equal top five? Queen Okoye should also make the list cos she suprised everyone with her stunning gown and it is her first time in red carpet history of making the best dressed list alongside juliet Ibrahim. 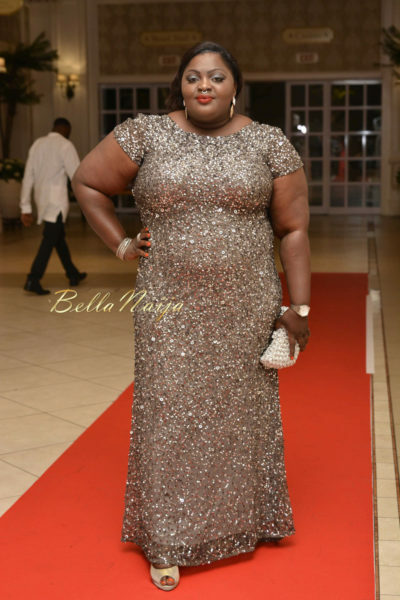 May I add that Iyabo Ojo and Eniola badmus are the most LOCAL CELEB on the red carpet. Eniola, to be brutal, cos it seems you dont have honest friends. That nose ring makes you look ridiculous. I see you and honestly what came to mind was a cow/bull with a nose ring. Please remove it immediately. You are a beautiful woman, do not indulge in all trends. Eniola something in me wants to slap the HELL OUTA YA but then I just remembered I’ve given my life to God including my hands. Iyabo we all know you are a Loyal Nigerian but that Green is too much haba! Anty Chioma looks like she’s been lifting weight for Africa. Juilet’s dress is alright , that extra fit, is not there, or maybe its the angle of how the picture was taken… and the extra addition from her ankle was just excessively unnecessary……that wow factor is not there ….it would have been more fabulous on a more voluptous/ pear shaped person .. ie , the ghanian actress with huge hips and boobies…Joselyn or is it Josephine ..
BN you have even tried for this event! 3 post from this event, shows you have stretched it to bring us something entertaining from the night. Am sorry but AMAA needs to bury it’s head in shame. For a creative award, it couldn’t even get its main audience (the actors) to attend, hype it and make some noise about it. Asides Nigeria and Ghana, where r the remaining people? Isn’t it an African awards? Even South African actors didn’t turn up, no picture of its brand ambassador who was on the cover of magazines or the show organiser! Plz there is a way some events that don’t get any funding hype themselves and get everyone to know that it happened! If they need help they should say so. in my comment I said “top 5 look of the nite” I didn’t say “top 5 best looks of the nite”. Juliet Ibrahim dress is beautiful. Omotola too. Eniola that nose ring does not suit anyone. Even if you are queen elizabeth. Its plain nasty. @jide mrs obanikoro biti bawo. Nah wah o. Not a fan of green hair. Why is it that up till now Bella Naija does not deem it necessary to give us , at least for the record, the full list of the winners at 2015 AMAA awards ? I think Iyabo Ojo looks lovely, fierce actually! Yeah the green is way too much, but on her I think it works! Gorgeous! Eniola must stop looking like an Indian cow at once! 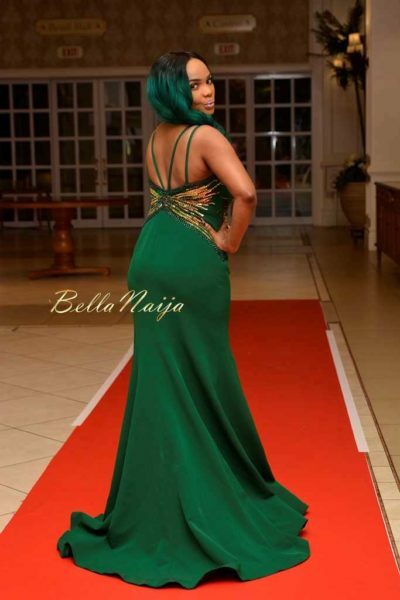 BN is talking about the five most talked about look of the evening I don’t think that necessarily means they’re the best look of the night..
For sum reason, i think d green hair suits her.i.e Iyabo Ojo. Cant be bothered about her outfit really, so no comment on her overall look..
but d hair does look fierce, if u remove the local stigma all the Yoruba actresses have been plagued with.